Well, this is a hard one to talk about. It’s great. I can say that without worrying about giving anything away. Absolutely worth the wait. It’s easier for me to talk about Jason Fabok’s wonderful art than Tom King’s excellent story, only because I really do not want to give anything away. 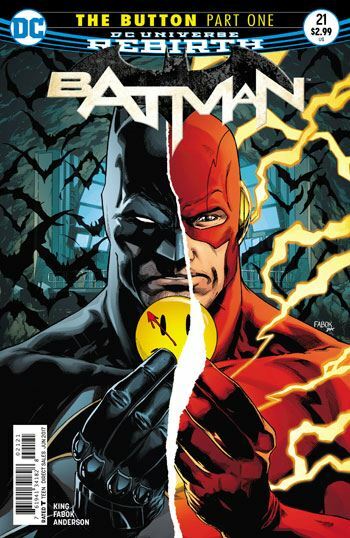 The story evokes Watchmen and Flashpoint, and ties in some recent events in Batman. The Flash plays a minor role, and so does a member of the Legion of Super-Heroes, whose presence in the present day has been teased in recent stories. 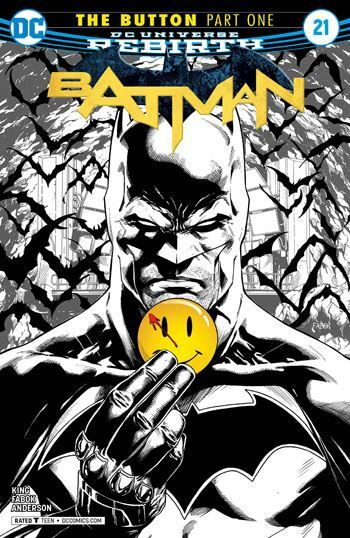 Fabok does such a great job capturing the storytelling mood of Watchmen. There are a lot of nine panel pages, with camera pans moving in and out. Batman has a vicious fight scene, and this is rendered exceptionally well, altering the camera angles in the panels to create a Watchmen like effect as well. And King really won me over with Batman's comment about not needing to actually win the fight. 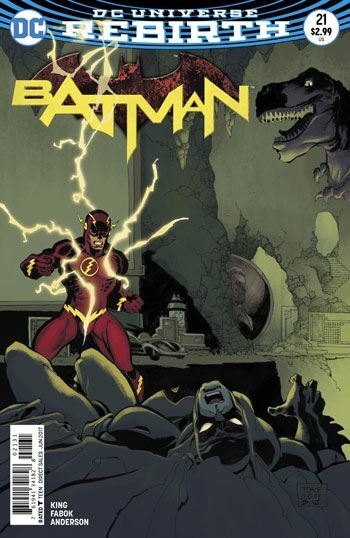 It’s just the first part of a storyline, which will be continued in the next issue of the Flash, so this is not an issue full of explanations. In fact, there is an even larger question at the conclusion of the issue, about a truly unexpected event. Overall, I have been very impressed with how Rebirth has been playing out. It seems that DC really thought about what they were trying to do, quite the opposite of how the New 52 came off. I have faith in the company again, which I was losing a few years back.